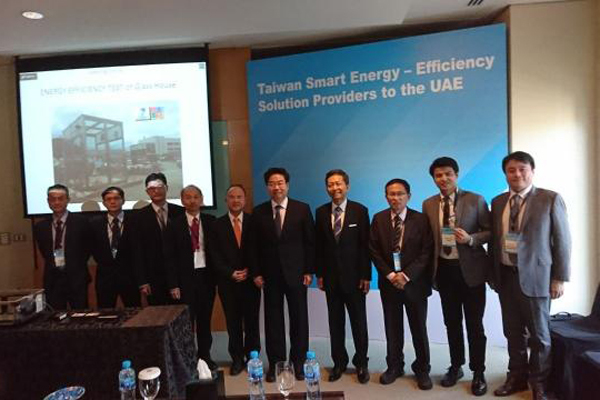 Taiwan External Trade Development Council (Taitra) discussed ways to conserve energy in the UAE's construction sector by employing cutting-edge technologies and deploying solar glass in buildings to make them self sufficient. The Taitra officials were speaking at a smart energy seminar organised by the council in Dubai as part of its mission for a greener future. "Taiwan’s dynamic economy is full of opportunities and Taitra has attempted to evolve trade promotion strategies to suit the changing international scenario. We believe that energy has become a point of concern as cities continue to expand. A truly developed city will be a smart city that employs energy conserving solutions," remarked Suo-Hang Chuang, the vice chairman of Taitra. "Taiwanese energy companies have been working on providing energy solutions and we are glad to share them with our partners here," noted Chuang, who was in the city with a delegation of Taiwanese suppliers who have made considerable progress in the field of energy-efficient solutions. He said the seminar would offer Emirati companies an opportunity to discuss trade and investment co-operation with their Taiwanese counterparts, while at the same time, helping the Taiwanese firms get the exposure they need to take their smart energy products internationally.